At Home Experiment 2: Static Levitation — Explosions, Inc.
We are all familiar with static electricity. A good deal of us could probably adequately answer a 7 year old's questions about what it is. However, did you know that not only can it stick your socks together in the dryer or give you a nasty shock, but it can also levitate objects? Just a few minutes with several household items and you can make your very own flying device. Directions: Use the scissors to cut a 1/2 inch wide strip from the open end of the produce bag. This will give you a plastic ring. Blow up the balloon and tie it off. Lay the plastic ring flat and, using the piece of cloth, rub the plastic in one direction 15 to 20 times. Then rub the balloon with the cloth about the same amount of times. With the balloon in one hand, take the plastic ring with the other hand and throw it above your head. Before it can fall to the ground, bring the balloon under the plastic ring. 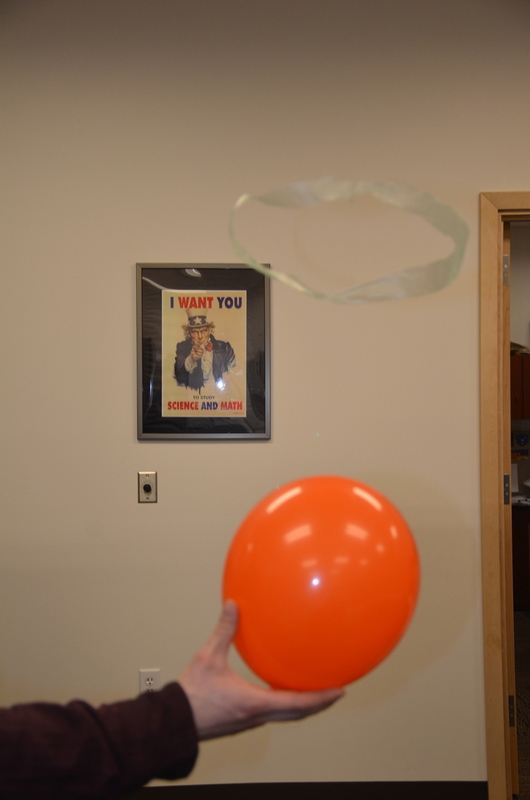 The ring should be held in the air as long as the balloon is underneath it. Be careful not to let the ring come into contact with a wall or another person or it will lose its ability to levitate. This takes some practice so do not feel discouraged if at first the ring insists on sticking to the balloon. Recharge the ring and the balloon and try again. How it Works:Everything in the universe is made of atoms and atoms are a nucleus orbited by electrons. Electrons have what’s known as a negative charge. They are weakly bound to the atom and can be taken away by friction. The friction of the cloth on the balloon transfers electrons to the balloon and a surplus of electrons gives the balloon a negative charge. Since the same process is applied to the plastic ring, it also has a negative charge. Two negative charges will repel each other and this is what makes the ring float above the balloon. This is also what happens when you drag your feet across a carpet or when clothes rub against each other in the dryer. Electrons get transferred and negative charges build up. When you have a negative charge, those electrons will repel from other negatively charged objects but will be attracted to objects that have a positive or neutral charge (like pieces of metal or other people). The shock you feel is the electrons jumping to that positive or neutrally charged object. More Things To Try: Other objects will also hold a negative charge. You can try using a short length of PVC pipe instead of a balloon. 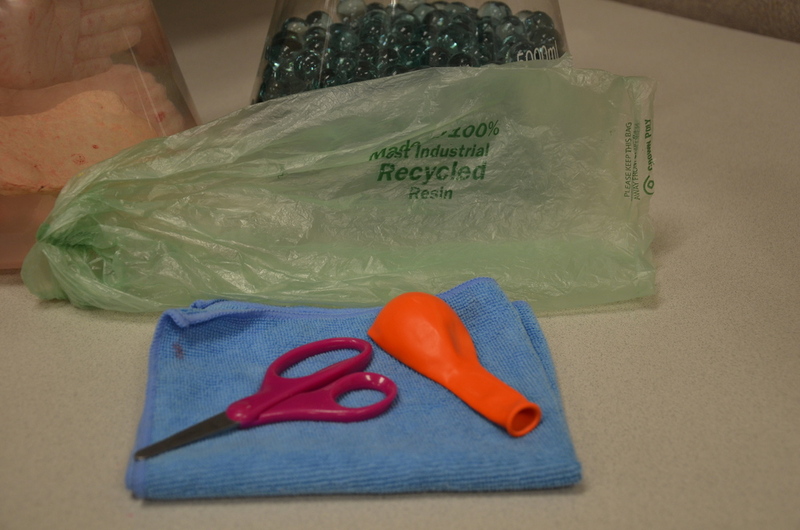 You can also experiment with different shapes for the plastic bag and see how well they float. When the winter holidays come around, try using Christmas tree tinsel instead of plastic.